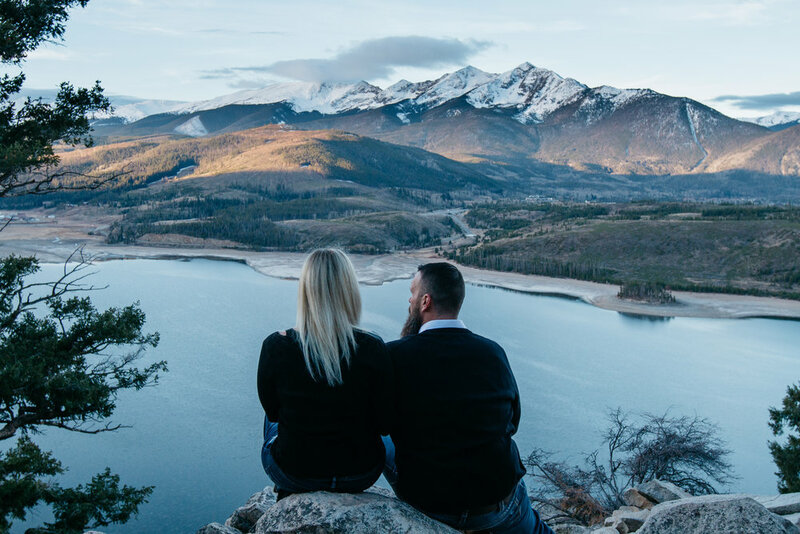 Lauren and Joe are a lovely and adventurous couple, from Florida, who could not pass up the opportunity to document their trip with the Rocky Mountains in the background. They drove to Dillon Reservoir at the crack of dawn, in 50 degree temperatures, and smiled through the cold fall morning. Their zest for life and love shone through in the photos and I can’t wait to share more of their photos in the next few days.